Sirius XM Radio has announced its participation with WhyHunger's Hungerthon 2012. A portion of the money raised during this year’s Hungerthon will assist those affected by Hurricane Sandy, including support for local food organizations participating in the long-term recovery process. For the fourth consecutive year, several of SiriusXM’s music, talk and sports channels will participate in WhyHunger’s annual Hungerthon campaign by helping to promote WhyHunger’s online auction of rare memorabilia and experiences donated by popular musicians, athletes and celebrities. 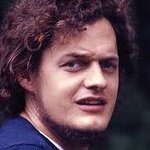 WhyHunger, the non-profit organization founded in 1975 by late musician Harry Chapin and current executive director and radio host Bill Ayres, is a leader in the fight against hunger and poverty in the United States and around the world. SiriusXM’s continued support of WhyHunger is part of its “Sound of Change” initiative, the program designed to generate awareness, action and funds for designated charitable causes. On Wednesday, December 12 at 5:00 pm ET, Cousin Brucie will host a special edition of Cruisin’ With Cousin Brucie on ‘60s on 6, channel 6, promoting WhyHunger’s live auctions and the items up for bidding on Hungerthon’s website, including a chance to co-host with Cousin Brucie, the opportunity to win a tour of the Rock and Roll Hall of Fame Museum and the chance to receive a VIP tour of Graceland. Hungerthon auction items include trips to meet and see Justin Bieber, Maroon 5, Muse, Kenny Chesney and Rick Ross in concert; autographed guitars from Willie Nelson, Taylor Swift and Andy Summers; a piano bench autographed by Tori Amos, sneakers autographed by Daddy Yankee; tickets and meet & greets to concerts for Tiesto, Armin van Buuren, Swedish House Mafia and Luke Bryan and tickets to the Daytona 500. 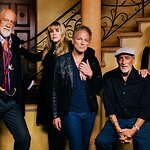 Participants in the auction for WhyHunger’s 27th annual Hungerthon will also be able to bid on an opportunity to sit in during SiriusXM shows with Opie & Anthony, Sway Calloway, Whoo Kid, Jason Ellis and Lance Bass; an opportunity to record a guest DJ session on Jimmy Buffett’s Radio Margaritaville, Grateful Dead Channel, Siriusly Sinatra, Ozzy’s Boneyard and Pearl Jam Radio; co-host with Dave Marsh on E Street Radio and the opportunity to spend a day at the NFL training camp. Auctions will be conducted online at www.charitybuzz.com/hungerthon during designated times. A list of auction items and full details are available at www.siriusxm.com/hungerthon. SiriusXM is not a sponsor of the auction but is a participating promoter and donor of opportunities on the auction block. For the latest updates, go directly to www.hungerthon.org.